Although the news was broadcast from the mosque, word had already spread like wild fire in the village: Younas Iqbal had returned to Okara. The AMP had emerged along Multan Road, often on land deemed as “military farms.” Its leaders claim that it was formed in 1998 but only rose to the fore in 2001. The original conflict, in October, 2001, had begun over sharecropping agreements but, by now, it had now morphed into a raging legal dispute over land rights. The peasants had raised the slogan, “Maalki Ya Maut” [Land Ownership or Death]. And this position had landed them in hot waters with the authorities. “Nobody will sign over the papers,” came a voice from a corner. “Nobody will sign over any papers,” repeated Younas’ mother. The AMP is a social movement of landless peasants who had been tilling land for centuries. In modern-day Pakistan, that land had been transferred to the military who had continued their arrangement of share-cropping with the villagers. But the terms offered in the most-recent agreement, in 2000, were going to financially squeeze the villagers. They were already under the crippling burden of high input costs, let alone inflation. Were they to agree to these new sharecropping terms, they’d effectively be signing their death sentences. The movement was as organic as it gets. Its main leaders were a trio of friends, Younas Iqbal and Chaudhry Abdul Jabbar from Okara and Dr Christopher John from Khanewal. Younas ultimately became the chairman of AMP and Dr Christopher its secretary-general — this ensured that, geographically, the AMP’s presence and influence could be established in all villages affected by the new share-cropping arrangement being proposed, from Okara to Khanewal. The peasants movement soon gathered steam but they also met the might of the state. 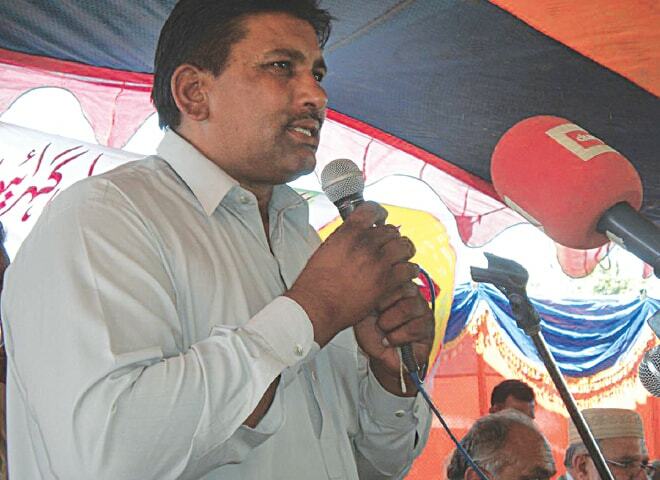 Elections were round the corner, and Musharraf’s Defence Minister, Rao Sikander Iqbal, also hailed from Okara. There were legal cases being registered against AMP members, some on the charges of terrorism. With General Musharraf keeping a keen eye on developments, law enforcement had begun to comb through villages for any leaders or supporters of the AMP. Slowly, news started to filter through to urban centres about what was happening in villages across Punjab. The AMP survived the first few rounds of incarcerations in 2001. As news spread of their existence, however, the nascent “Left” in Punjab also discovered the AMP. The Left was roughly divided among three trends: orthodox, new Left and NGOs. The first two of these came with their ideological biases while the NGOs came with their promises of funding. The allegation on the NGOs was that they would ultimately “de-politicise” an organic people’s movement. But this was also a young Left, devoid of recent heroes or even a way of politics. Their last meaningful involvement in mainstream politics was when the Movement for the Restoration of Democracy (MRD) was being waged against General Ziaul Haq. As the 1990s set in, many former members of leftist parties began taking up jobs in the NGO sector. This obviously depleted the ranks of many left-wing parties. The AMP leadership engaged with everyone but steadfastly guarded their organisation. 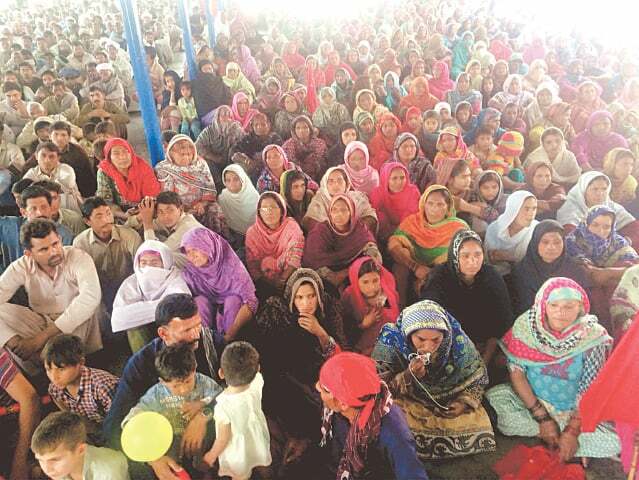 This was a social movement focussed on landless peasants in Punjab and everyone was welcome to join the movement. But the AMP would not become a peasants’ front for any party nor would it become the poster child of exploitation. It would, however, plead its case at every forum offered to them. Time and experience would see some of these principles compromised, but at the heart of it, the AMP remained the voice of landless peasants in Punjab. And he successfully managed to do so along with Dr Christopher John, the duo travelling village-to-village across Punjab to tell fellow landless peasants not to sign the new sharecropping agreement and join the resistance instead. Their position found willing takers in many villages, with village elders granting their assent to joining the AMP’s movement. But as the NGOs began interacting with the AMP, they offered money to the movement for its organisation, offices, rallies and public relations. Ignoring counsel provided by some left-wing leaders, the AMP accepted the money. One of the expenditures was on an office in Lahore. It was at the AMP office, however, that Younas Iqbal and Dr Christopher were arrested along with three others. This was in 2003. What compounded organisational matters was that a middle-tier leadership was not as experienced. Because nobody in the AMP really had an idea of how to organise a social movement, a middle-tier leadership was getting trained on the job. It was by no means battle-hardened, however. And while Younas and Dr Christopher remained in incarceration, nobody really stepped up to take charge of the AMP. A power vacuum had been created in the top duo’s absence and it wasn’t being filled. With Younas and Dr Christopher locked away in the dungeons, and the organisational structure in disarray, rumours began to circle that the two had “sold out.” The rumours soon turned into allegations — nobody had any proof, and arguments one way or the other were based on insinuations. Some claimed that the duo had wasted the money provided by the NGOs, or worse, embezzled it. But as Younas explained later, the burden of what had happened on the outside was heavier than the agony of incarceration. His organisation had split and his people had been affected by allegations of him having sold out. As is the culture of villages, almost every household paid him a visit to enquire after his health. And every household in the village asked him the same question: what really happened on the inside. Younas simply offered his wounds as explanation. The same was the case over in Khanewal. Everyone paid a visit to Dr Christopher’s house to enquire after his health. And everyone asked him what really happened on the inside. Even before the AMP, Dr Christopher had enjoyed sufficient goodwill in his village. A school teacher, too, he commanded the trust of many. His wounds were also accepted as proof and he was exonerated by his comrades from allegations of having sold out. The AMP had already split in 2002, on the question of participating in the elections, but its support base remained somewhat confused about which leadership claim to follow. There was Younas Iqbal on one side and another leader, Mehr Abdus Sattar from the Muslim-dominated village of Chak 4/4L on the other. In the organisational mayhem created since Younas and Dr Christohpher were picked up, Sattar had staked claim to the sole leadership of the AMP. Meanwhile, Sattar’s leadership was being recognised by some parties and groups of the Left. One leader allegedly posited Sattar’s Arain biradari background as reason enough for him to lead the AMP — officially, though, he rejects this claim. The same actor pumped money into Sattar’s group through his NGO. Another introduced Sattar to the national and international media. The neutrals in this leadership conflict were two legal aid organisations: the Human Rights Commission of Pakistan (HRCP) and the AGHS Legal Aid Cell. Amidst the leadership tussle, AMP activists were still behind bars on charges of treason and terrorism. Both organisations continued to plead the cases lodged against the landless peasants — Asma Jehangir would contest cases in Lahore while HRCP’s Rashid Rehman would do so in Multan. Sattar was an educated young man and among the few tenants with a master’s degree. His entry into the AMP was borne out of personal tragedy: his younger brother and uncle had been apprehended from the main vegetable market in Okara, where they had gone to sell their potato produce. But law enforcement officials not only took them in custody but also confiscated their tractor and trolley, later selling the same produce for 45,000 rupees in the market. For Sattar, the fight was also personal. A relatively quiet figure, Sattar was fond of dismantling guns and putting them back together in a matter of seconds. He would claim that those in the struggle needed to be armed and vigilant at all times — such was the strength of their adversary. Wielding weapons was a measure of emancipation and nowhere could he do so with more freedom than in the fields of Hashtnagar. Hashtnagar, a collection of eight villages in Charsadda district, Khyber Pakhtunhwa, was the site of one of the most successful peasants uprising in Pakistani history during the 1970s. Landless peasants had turned against the large landowners over the matter of implementing tenancy law and controlling rents, and after an armed conflict, had driven them out of land they believed was theirs. 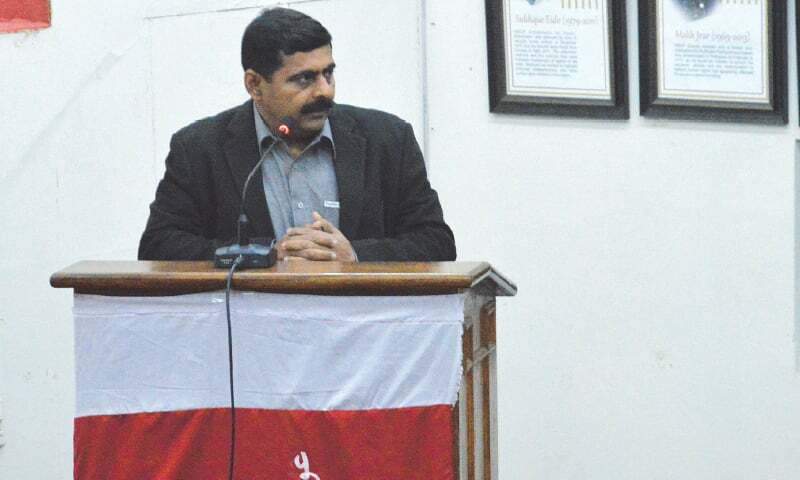 The uprising was organised by Major Ishaq’s MKP and served as inspiration for peasant-led social movements. 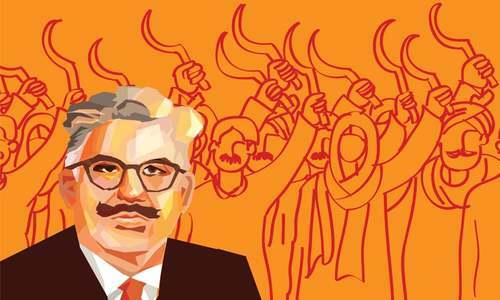 Through the decades the movement lost its punch and became fragmented after ideological disagreements over socialism versus Pakhtun nationalism. But the many factions of the MKP continued their tradition of commemorating an annual martyrs’ day event in Hashtnagar. As Sattar’s AMP was being introduced among political circles, he was also introduced to leaders in Hashtnagar as the genuine representative of the movement in Punjab. And in his speech, he’d plead the unity of the peasantry and peasants’ social movements, also introducing the Hashtnagar youth to AMP’s slogan of Maalki Ya Maut. This fit the plan of some leftist organisers: they decided to present both social movements, Hashtnagar and AMP, as sister movements in an attempt to swell the ranks of the organised Left. An additional advantage, at least in theory, was that one movement would draw strength from the other and vice versa. What Sattar had going for his faction was their Muslim backgrounds, which afforded him more social and political acceptance in Charsadda. Meanwhile, leftist parties became embroiled in internal debates about which AMP faction to legitimise and why. One line was to be wary of division along caste lines. Others argued that instead of a caste conflict, it was more a conflict of strategy. Another line was that bringing together various social movements and using their cumulative impact was more practical than the politics of a workers party. Sattar eventually found backing from the Awami Workers Party, which was formed, among others, by key leaders associated with the struggle of the AMP. The charge-sheet drawn against Younas Iqbal by his comrades contained many allegations, some of which were made long after the AMP had split in 2002. Chief among them was the signing of an agreement to hand over two villages to the military farms, Chak 11 and Chak 15. This was in 2004. A delegation of the AMP met with General Hussain Mehdi of the Rangers, who explained to them that should they hand over the two chaks to them, the military farms would withdraw their claim to all the land that the peasants tilled as well as the sharecropping agreement that was being proposed by them. These two chaks, however, were non-negotiable. Younas and Dr Christopher signed the deed, believing that in the larger scheme of things, this would ease the pressure being exerted by the state. Not everyone shared this view, however. Mehr Sattar argued that signing over even one village meant that the entire movement had been defeated. This position found many takers — there was a large number of people now arguing that Younas was not reflecting the peasants’ interests well enough. 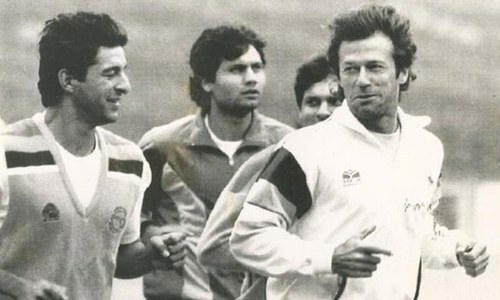 As Younas’ politics went quiet, Sattar’s went active. Another charge levelled against Younas’ group was that they continued to remain “non-political.” In comparison, Sattar’s group was avowedly political. In fact some leftist leaders who had been associated with the AMP dismiss the notion of any division along biradari or religious lines. One leader even described the idea of a “Christian leadership” as “misleading.” What these leaders argue, instead, is that the real dispute in the AMP came about on the question of strategy, of how to take the movement forward. Younas’ group had insisted from the first day that their movement would remain non-political and non-violent. But Younas, in particular, drew considerable ire at having supported a pro-Musharraf candidate in the 2002 elections. In comparison, Sattar attempted contesting elections in 2002 and actually did so in 2008 and 2013 — from UC-level to the National Assembly. Although he once contested polls on a Pakistan Peoples Party ticket, Sattar would later argue that the landless peasants needed to have representatives in the assemblies from amongst themselves if they wanted lasting change for their lot. Crucially, in local government elections, he’d dispel the notion of the AMP having split along religious lines by fielding a Christian man named Iftikhar Jagga. Jagga won and was installed as the UC chairman. One interpretation of this dynamic is that while Younas’ became tinged with the de-politicisation brought in by NGOs, Sattar’s continued engagement with political parties meant that his means towards his objective remained political as well. Unlike last time, however, this is a battle-hardened AMP. New organisers have emerged within the AMP apart from those who were at the forefront in the early 2000s. The organisation has experience in engaging with the provincial government over land ownership and continue to do so. But both factions also know what to expect and the thorny path that awaits them should the crisis worsen. Both understand how organic movements tend to coalesce and how they tend to collapse. Another favourable factor is that across both factions of the AMP, there are younger cadres pushing for the two groups to merge organisations and unite. In the throes of a common struggle, goes the argument, caste differences cease to exist. What matters more is how all the peasants can safeguard their collective interests. In addition, this time round, they have support from left-wing parties in Punjab that have swelled in size over the past decade and are noisier than before. And irrespective of leadership, both factions have maintained a consistent line even though their method to go about it might be different. If Younas is credited for having founded the AMP, Sattar gets credit for navigating it through troubled waters. Both groups were served a taste of what is to come, once again, last week as Younas Iqbal’s village in Okara was raided once again, the night before a reference organised in Lahore to honour Asma Jehangir. A contingent from Younas’ AMP was heading to Lahore to participate in the reference but law enforcement barred them from leaving the village. A small delegation managed to evade law enforcement, however, and made it to the event. Their escape was facilitated by AMP women pulling out their thaapas [wooden dowels used to wash clothes] again. A generation has passed since the AMP was last pressed into active struggle. Its period of inertia ought to have been one of reflection and introspection. No social movement can forever be dynamic; each one has its journey of rise and fall. In the case of the AMP, the rise of the current resistance marks a new cycle and a new journey. The great hope among leftist circles is that lessons have been learnt from the past. Central among them is that biradari has served to divide but a shared struggle will bring them close. Very nice and relevent article. The only hope for us in Pakistan is the organic moments taking shape and leading the people for a change. Giving that the failure of old political parties and their ideologies. Let's cross our fingers and help our farmers, workers and poor people to rise on their own and take the lead. All we the so called educated elites should do is to not confuse the rise of these organic moments with religion, sects and biradaries and support them to the fullest. Be they the Okara farmers, Baloch nationals or the recent pakhtoon brothers raising their voices against oppression. 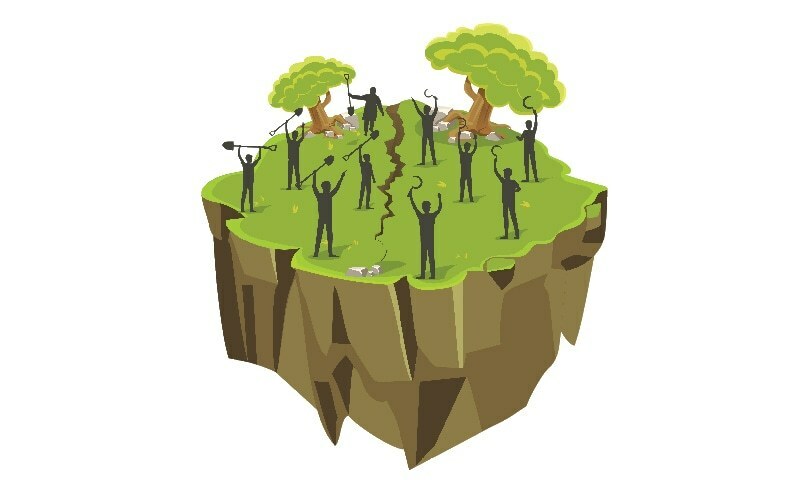 Some green shoots in the withered tree of humanity . Chinese politics is making in road. Might is always right, whether it is really right or wrong.